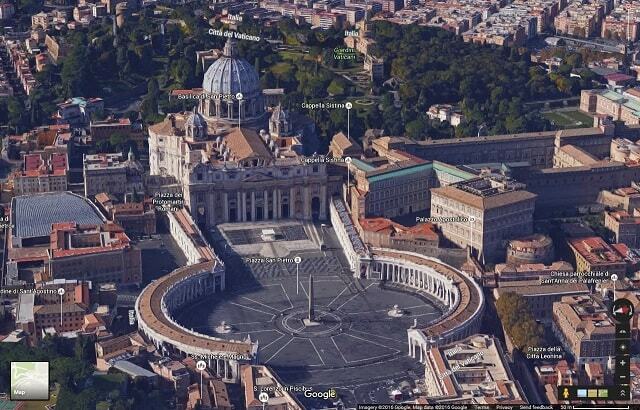 We at Net66 are fans of Google’s enhanced recent tools, especially the enhanced 3D views seen in principal towns and cities all over the world. Their introduction of Tilt mode enables you to view three dimensional views in a number of perspectives, and isometric views. 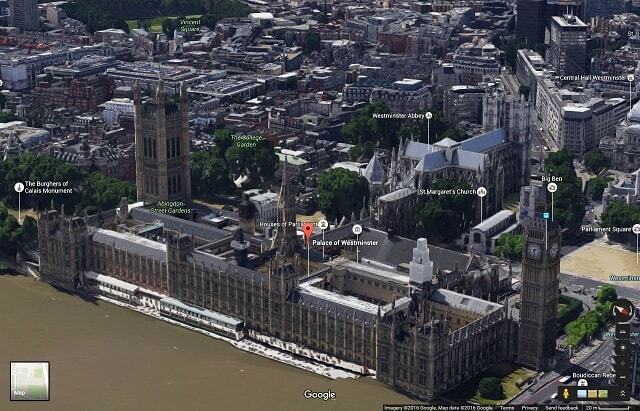 For our latest post, we have 12 examples of 3D imagery of noted landmarks around the world. From then on, we shall let the pictures do most of the talking. 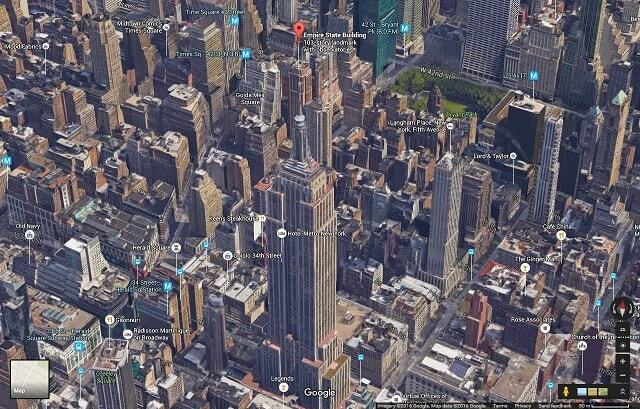 From 1931 to 1969, the Empire State Building with its 103 floors was the tallest building in the world. It is noted for its Art Deco style looks inside and outside, and stupendous views of New York. Before 1952 (when the Empire State Building made its first profit), it made most of its income from tourists than tenants. The Empire State Building, New York. The Palace of Westminster, to give it is official name is of mainly Victorian origin, apart from Westminster Hall (which dates from the 12th Century). A fire on the 16 October 1834 prompted its reconstruction into Gothic revival style. The largest of the five bells inside Elizabeth Tower, Big Ben, is named after one-time heavyweight boxing champion Ben Caunt. 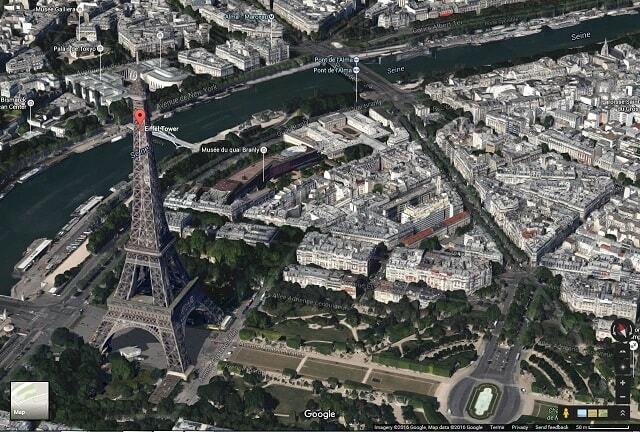 Whether you call it La Tour Eiffel or the Eiffel Tower, this 3D view shows off all 1,063 feet of the structure named after engineer Gustav Eiffel. It opened in 1889 as the gateway to the 1889 World’s Fair, and is the world’s most visited paid entry monument. On the other side of the English Channel, there was imitators in New Brighton, Morecambe and Blackpool. Our fifth 3D view will look at one of them. 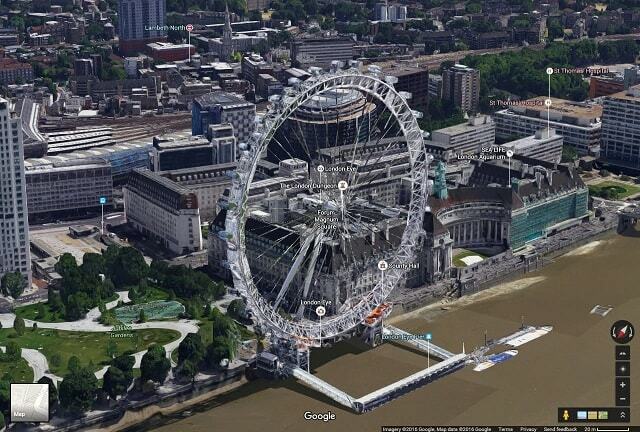 The London Eye proved to be a most enduring legacy of the millennium celebrations. Owned by Coca Cola, its third sponsor, it offers unrivalled views of Greater London. Its 32 sealed and air conditioned cubicles each hold up to 25 people. There is plenty of room for manoeuvre and photographic opportunities. Whereas Morecambe‘s and New Brighton‘s towers were demolished before the 1930s, Blackpool’s Eiffel imitation opened in 1894 and remains part of the resort to this day. Marking the centre of The Golden Mile, it has succeeded where others have failed. This thanks to its popular Tower Ballroom and the Tower Circus, along with other activities. 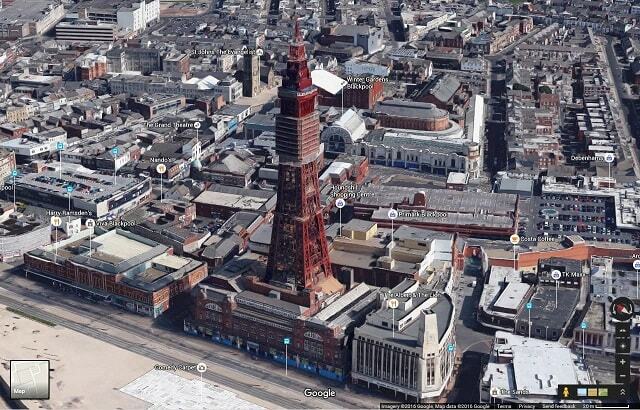 Blackpool Tower: England’s answer to the Eiffel Tower, with a superb ballroom. The Beetham Tower, one of six towers named after its developers in the UK, is the tallest building in Manchester. Situated on Deansgate, it opened in 2006 standing at 515 feet, which includes private housing and a Hilton Hotel and an antenna. 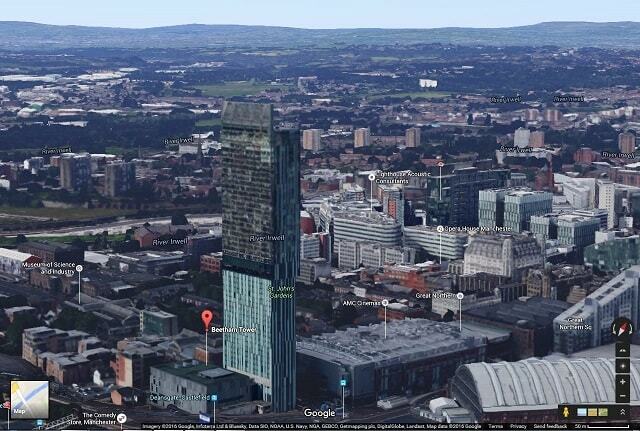 This 3D view shows the tower standing amidst a much redeveloped part of Manchester city centre. Beetham Tower, Deansgate, Manchester: a defining symbol of our city centre in the 21st Century. The Basilica of St. Peter is one of the Vatican City’s most recognisable sights. It can draw audiences of between 15,000 to 80,000 worshippers. Completed in 1626, the place of pilgrimage was deemed as one of “the greatest of all churches in Christendom”. Rebuilding was prompted by the original basilica falling into disrepair. Basilica San Pietro, Vatican City. Niagara Falls, besides being on many a bucket list of ‘must visit attractions in the USA’ is three waterfalls which straddle between the US and Canadian borders. It was created by the Wisconsin glaciation some 10,000 years ago. Linking to twin cities of Niagara Falls (in the US and Canada) is an Amtrak railway bridge and its road equivalent, Rainbow Bridge. 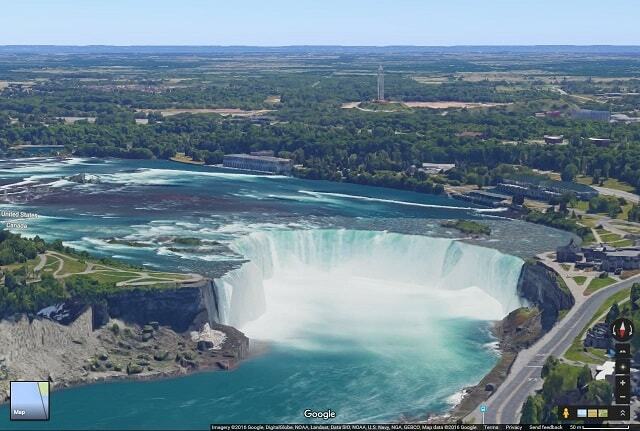 Niagara Falls, on the border of the USA and Canada. San Marco Piazza is Venice’s focal point. Construction began in 800 with the piazza flanked by the Procuratie Vecchie (built by Bartolomeo Bon the Younger, around 1520). 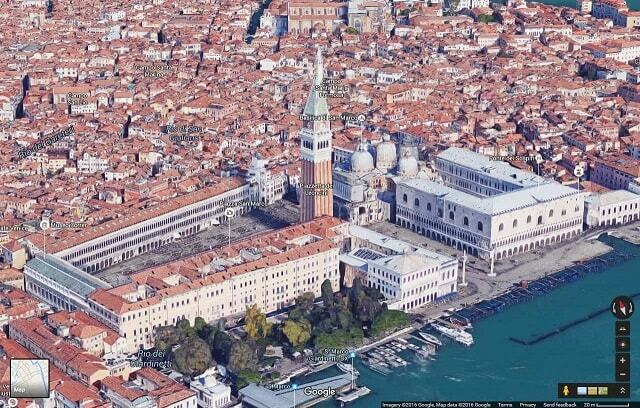 It is, as seen in the 3D view, dominated by the campanile. No trip to Liverpool, or disembarkation from any ferry is the same without seeing Pier Head. 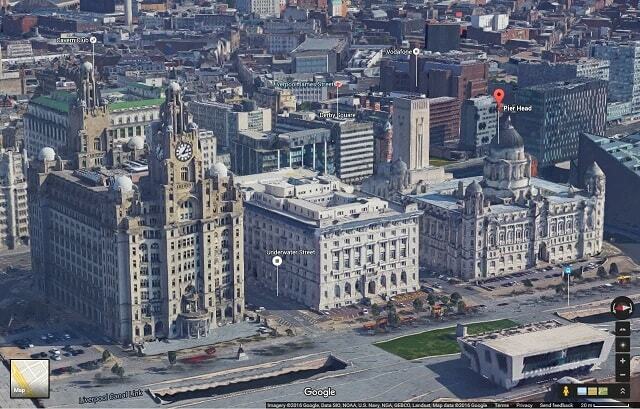 The first of the three buildings seen in our screen grab is the Royal Liver Building. It opened for its first occupants, Royal Liver Assurance, in 1911. In the centre is the Cunard Building which, before the jet age, was the terminal building and offices for its Transatlantic sailings. The third, is the Port of Liverpool building which, for the most part of its life was the headquarters of the Mersey Docks and Harbour Board. Pier Head, Liverpool: the Royal Liver Building, Cunard Building and the Port of Liverpool Building. 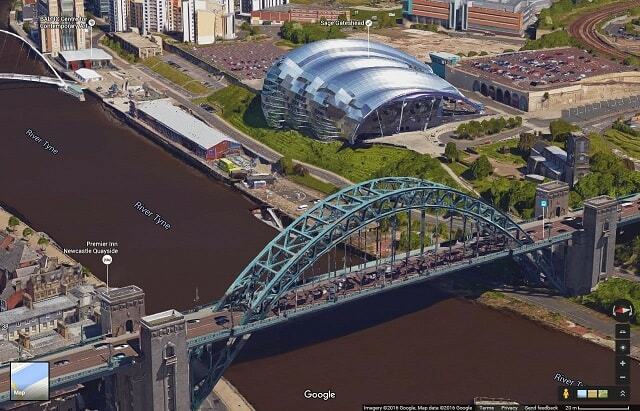 Built by Dorman Long and completed in 1928, the Tyne Bridge is an icon on both sides of the River Tyne. It was based on Hell Gate Bridge in New York and Sydney Harbour Bridge (which, alas, cannot be seen in the New Improved 3D Views on Google Maps). The SAGE Gateshead is an award-winning live performance venue part of the Gateshead Quays development. Designed by Sir Norman Foster and Partners, it opened in 2004 with two theatres and a centre for musical education. Tyne Bridge, Newcastle-upon-Tyne and the Sage Gateshead. For our the last of our 3D views, we return home to our humble abode on the first floor of Rammon House. The building, which we think dates from the 1950s, has a number of occupants including us. Previous occupants have included Slimma, a fashion label owned by J.D. Williams. 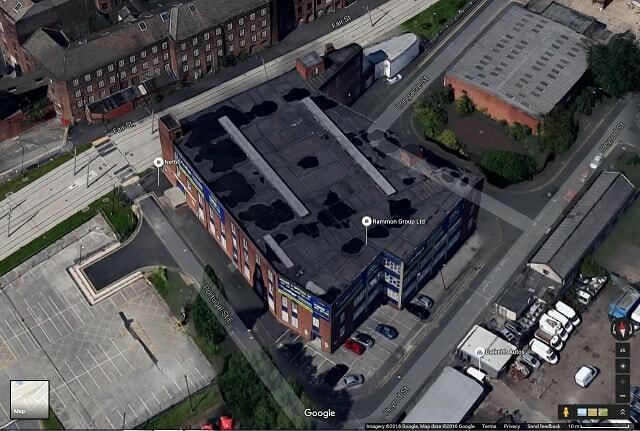 A 3D view of our humble abode: Net66 HQ, close to Manchester Piccadilly railway station and Ancoats. All original images remain © 2016 Google, though used for educational purposes under fair use of UK copyright law.